Cress – Fine Curled is the easiest and fastest salad to grow with a slightly spicy taste. Sowing: Sprinkle seeds thickly over a thin layer of compost. Do not cover the seeds. Grow indoors in a pot all year round. Ready to harvest in two to three weeks. Cress also called broad leaf cress–and other cresses: curly cress and watercress–are quick growing cool-weather vegetables. Sow cress in the garden early in spring, as early as 4 or 6 before the last frost, or grow cress indoors year round. Cress is quick growing from seed; it will be ready for harvest 15 to 20 days after sowing. Sow successive crops until mid summer. Sow cress again in early autumn for autumn and winter harvest. Cress, fine curled has slightly smaller, more serrated leaf pattern then the plain leaf variety. 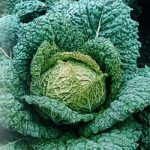 It has a more delicate flavour to give texture and variation to a salad. 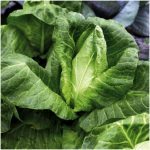 It is one salad ingredient you can be sure of harvesting all year round, adding flavour to salads, sandwiches and omelettes. You only need water, a little warmth, and light, and it will grow pretty much anywhere. You don’t even need a garden. 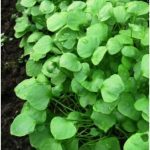 • Curly cress (Barbarea vernapraecox), also called cresson, early winter cress, or Upland cress, has finely divided leaves resembling parsley or chervil atop thin, branching stems. 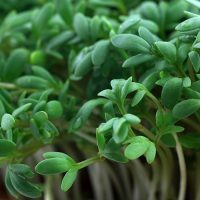 Curly cress is dark green and is also called curled cress, curlicress, fine curled cress, moss curled cress, and extra-curled cress. Curly cress is a biennial that thrives in damp soil. Harvesting: Cut or pinch out cress tips as needed, cut-and-come-again. Begin cutting plants when they reach 3 to 4 inches tall. Plants cut back to ½ inch will quickly regrow. Cress is most tender at the early seed-leaf stage; harvest cress well before it matures. Sprouts can also be used fresh. Storing and preserving: Cress will keep in the refrigerator up to one week. Seeds can be sprouted.